Made his debut with CSK VVS-Standart Samara region (Russia), Higher League, during the 2007-08 season. Played the 2008-09 season with CSK VVS Samara, Suerleague and with the 2nd team. Signed for the 2009-10 season by Spartak St. Petersburg, played also with the 2nd team. Loaned for the 20101-11 season to BC Nizhny Novgorod. Back to Spartak St. Petersburg for the 2011-12 season. 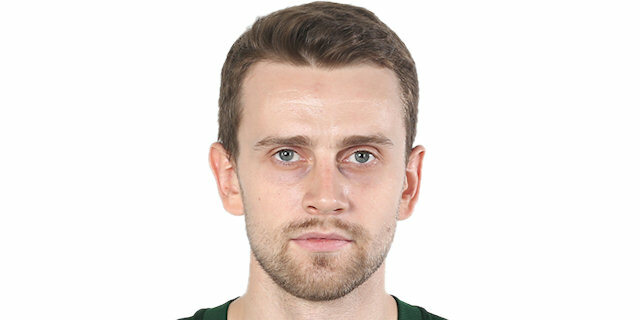 .signed for the 2012-13 season by Unics Kazan. Signed for the 2015-16 season by Zenit St. Petersburg. Has been member of the Russian U-16, U-18, U-20 and University National Team. Played at the 2007 U-16, 2008 and 2009 U-18, 2010 and 2011 U-20 European Championships.